The focus of search engines on the actual content on a page on your website makes the content even more important. As Google states: make pages primarily for users not for search engines. Optimising content is harder now than ever before. It requires you to consider what your target audience is interested in knowing more about. It’s not just about throwing in a string of keywords into your copy and posting it. SEO tactics focus less on technical aspects and instead focused on user experience. Apparently the best kind of content earns credibility when real people actually read, use and share it throughout their own social network. Search engines really like content that gets talked about, commented or liked and tend to reward the original poster accordingly. It is said that the most effective sites contain 100% unique content, which is what draws visitors. If the information is readily available everywhere else on the web, visitors have no reason to come to your site and stay. Even if your web marketing drives traffic to the site, it is said a lack of original content or interest to the visitor makes visitors logout in a few seconds and move onto another site. So the more distinct and original content in your own voice or words that appears on your websites and blogs, the better results you can achieve. Gone are the days when we could just lift content from professional sites and vendors. Gone are the days where adopting content found online from random international sites such as Wikipedia etc could be used in blogs. If search engines find the same text on your blog or website that appears elsewhere, it will most likely be ignored. But, if your content is unique, interesting and of high quality, you have a better chance of ranking higher among leading search engines. 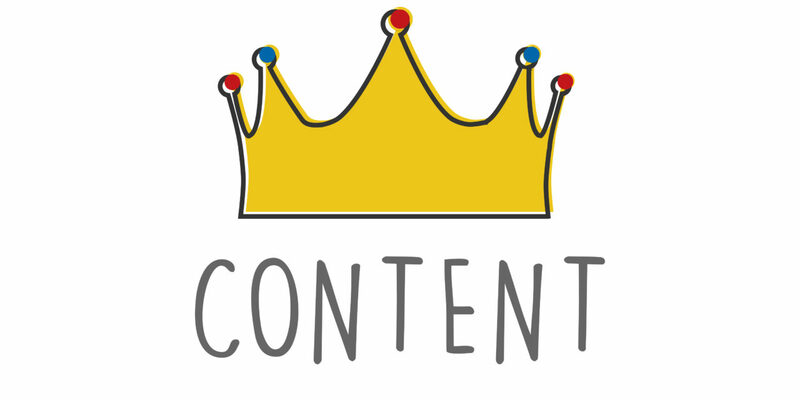 In addition, better content attracts more traffic, which helps your ranking with search engines. And remember, Google is all seeing! If Google determines that you're deliberately plugging in duplicated content to manipulate search engines or gain more traffic, it may be considered deceptive and therefore a violation. Google's mission is to index and show pages with distinct information to offer users a rich experience. So although we may be their clients via Google ads, we are not their perceived end clients who are our end clients! So, if you have low quality generic content you are at risk. Defying Google leaves you open to penalties which can manifest in many ways. It is possible to have your site’s organic rankings significantly decline or, in extreme circumstances, the site could be taken down for days, weeks or even longer. Each page of your site should be unique, even if it is similar to the theme of another page. Avoid lifting content directly from other sites, and that would include copying and pasting information from distributor sites whose products you use. This is the lazy persons way to create a website or blog. Everything you add to your site should reflect the personal style or voice of you and your business. Each page of your site has value and you should view it as such. Don't populate your pages with content that may undermine your overall mission of driving more traffic. Your site should be uniquely yours and not just a duplication of every other therapist’s site. Even if pages on your site look different in terms of colours, order of words, layout, design or graphics, search engines will only detect differences if the content is dramatically different. If there are situations where you need to use duplicate content, such as referencing a news item or sharing a blog post, also add content. If there is more unique content than duplicate content, the risk of having the page flanked by search engines is reduced. If you have concerns you may have to duplicate content, perform a site check on www.copyscape.com. Enter the URL of the page and it will return a list of pages Google has indexed that contain text that is duplicated on your site. Then all you need to do is to rewrite any duplicate copy so that search engines can re index the page with new original content. An annual or quarterly marketing calendar organises the tactics to help you launch marketing programmes, campaigns and initiatives throughout the quarter/year. It will assist you in figuring out what you need to do and when to do it for maximum impact. If you follow the marketing calendar, it can help you capitalise on every opportunity to market your business (special days etc.) without lapses. Crystalises your focus and allows you to analyse the investment and value of your marketing tactics to help build consistently in planning. How do you know if something is working for you currently? IF YOU DON’T – you may be wasting your money. This stops you panicking when the phone stops ringing or your client visits slow down – proactive marketing, not reactive – too late then! By fleshing out a calendar, you can plan well in advance for the slower months – which, when you have been in business a year, you know when they are going to be. So, coming into the summer months, you may not promote those treatments where clients need to avoid the sun – that is pointless. You need to determine the critical success factors that affect your business. What resources do you have to deal with them? In the summer when you are inundated with pedicures and you are turning people away – why not get in a freelancer? Isn’t it better getting some money in and keeping that client interested in the salon rather than turning them away? Is what you are currently offering meeting your customers needs? Are you seeing clients slipping away? Are you still offering the same services you did 5 years ago? Clients can get bored and you need to be introducing services and treatments to keep the motivated/interested. Do you need to outsource marketing or social media services? We need to value ourselves and think about our self-care. No point doing everything yourself and driving yourself into an early grave! If you have a marketing calendar it will help avoid making reactive decisions by providing a framework to make sound choices. Do you in fact have a marketing budget? SEO budget? Why not? If you don’t, how can you see at a glance which events and strategies were productive and on target and delivered the best ROI? This will aid you in planning for future periods. Each year you should revisit the marketing calendar template and revise it.Just because it worked in 2015 doesn’t mean it will work in 2019. You need to adapt it based on your learnings from the previous year. If you do the same each year, and you are not measuring ROI, you could be throwing money down the drain. If your monthly Facebook budget delivered positive results, you may want to increase the budget going forward. If you ran a series of ads in a local magazine that didn’t generate enough clients to pay for itself, direct that budget to something else. Think of your marketing calendar as a working document. Plan to make changes and additions along the way.Any newsworthy item should be jumped on and milked for all you can. A regular review will reveal what you have followed and completed, results that were tracked and any holes. So what should be you put into a marketing calendar?